Welcome to the first installment of my new series- Unlikely Style Icons. We already established in this post here that I am not one to be swayed by the usual style icons. I don't care how many glossy magazines put you on the front cover or how often you are hailed as an icon. If you don't have something intriguing about your look, it won't inspire me. End of. I am, however, completely drawn to ugliness. I love the macabre and creepy. I see beauty in abandoned buildings, in odd faces and in anything twisted. This leads me to find inspiration in the most unusual of places, hence my longing to create this series. 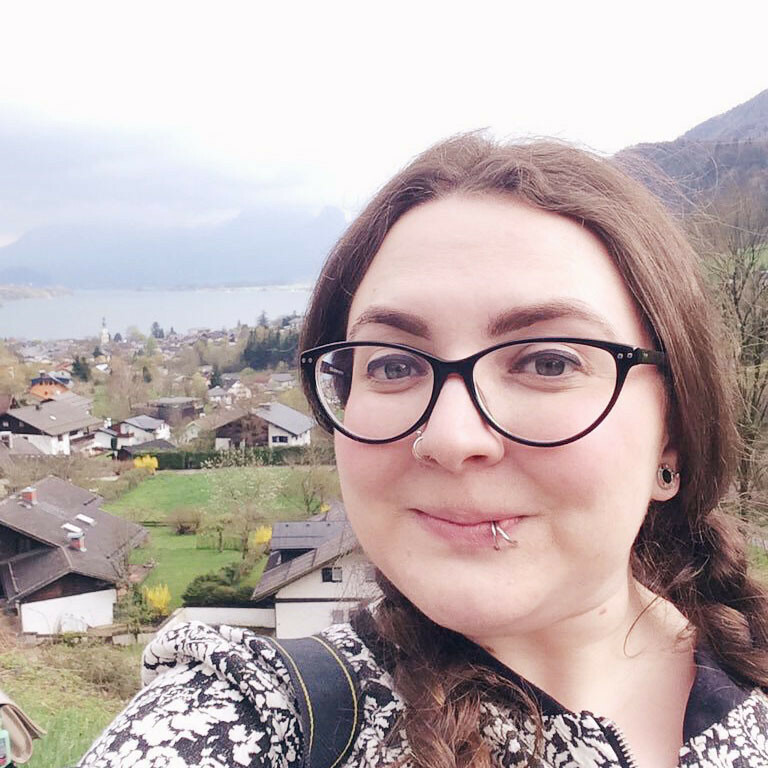 So, here I am, typing up my very first installment. Who better to launch it with than that British icon Nora Batty? I suppose it's inevitable that I would find something appealing about her washerwoman style. 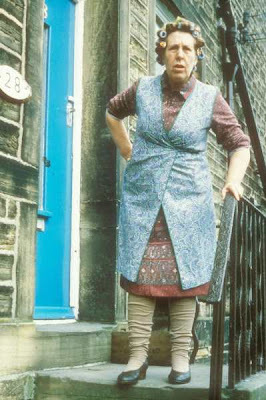 I am the reigning queen of Nora Batty Ankles. Not purposefully, I hasten to add. I just have odd sized legs and if tights fit around the ankles, they will barely reach my hips. So I wind up buying extra large tights which gather very attractively around my ankles. I'd rather that, though, than a pair that is likely to stay on the bus seat if I stand up too fast. Ok, so right now you think I've pretty much lost my marbles. But look a bit closer. The paisley pattern is bang on trend, coloured hosiery hasn't been this popular since the 1980s and even the orthopaedic shoes are enjoying a revival among the hipster types. So how can we translate this look into something that would catch the eye of any street style photographer? 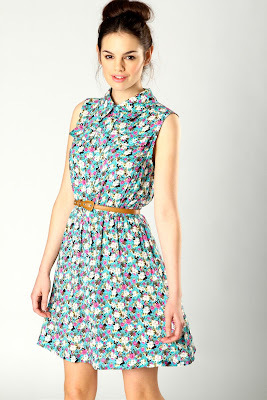 Well, this floral shirt dress from Boohoo.com is almost identical to Nora's patterned apron. Wear it over a patterned chiffon blouse from Vero Moda at Asos to recreate that pattern mix that made Mrs Batty such a recognisable figure. 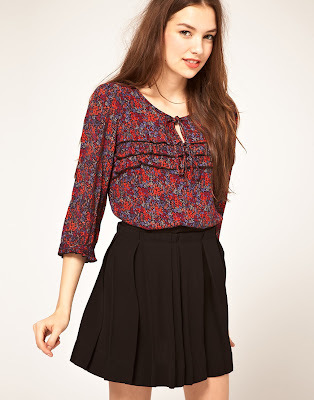 Complete the look with Topshop tights (wrinkled ankles are at your discretion!) 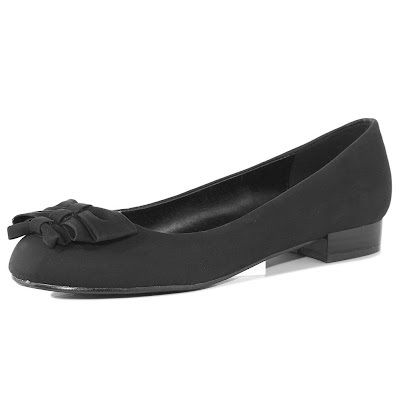 and black block heel shoes from Dorothy Perkins. Whether to keep the hair rollers in is up to you! You are hilarious!! Love the way you write!! So nice to say you see the beauty in odd faces, abandoned buildings! Great inspiration as well! Haha love this post. 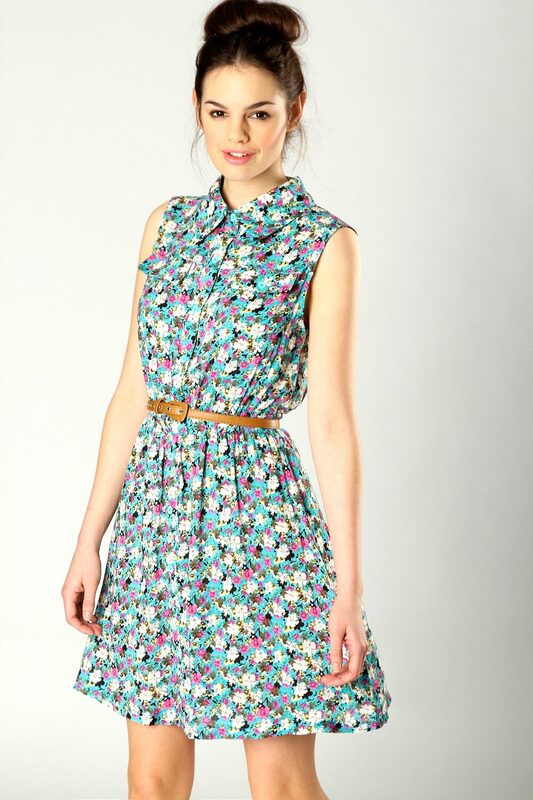 I actually really like that flowery dress that you picked out. thanks for the comment on my blog.